"I recently had the pleasure of spending 4 days on El Duque with our scuba group. I can't speak highly enough of the experience we had staying with Cat, Norman, and Dave. 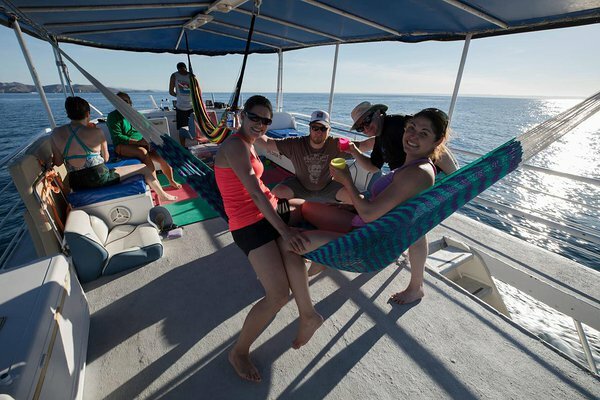 The boat was very comfortable, and the relaxed and accommodating nature of the crew made the stay an epic experience. We spent most days diving at dawn with the sea lions, exploring some of the wrecks and rocks on later dives, and ending the day anchored in a beautiful bay eager to do it all over again. "I recently met Captain Norman & Cat; what a lovely, friendly couple. I was also lucky enough to go out for an afternoon & sunset cruise with them. Fantastic day! We had about 16 people on board with us and what a great time we had. I was happy that Captain Norm went over a safety discussion prior to us leaving the dock and they were well equipped should something unforeseen happen. It's a large boat so there is room for everyone to find a spot, whether you want to be with the whole group or have a few minutes to yourself. 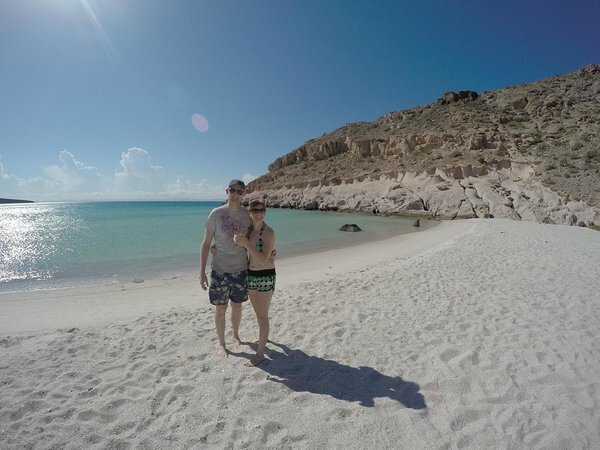 The sea of Cortez is amazing and we were lucky enough to see Dolphins frolicking in the water, Rays jumping and even a whale!! We also went near an island that was covered in sea lions, wonderful. While we were driving around enjoying the sea life, there were wonderful drinks (watermelon juice) and snacks out for you to help yourself to if you wanted. After a while we dropped the anchor in a bay (no other boats there), it had a beautiful beach and we all jumped into the emerald warm water from the boat and swam around. Some people kayaked, some snorkelled and some suntanned while listening to the sea lions on the neighbouring rocks, what an experience. They were very accommodating with life jackets, floatation rings etc for the people who weren't big swimmers, they went out of their way to make sure everyone had what they need to feel great. There is easy access on and off the boat into the water which was fabulous. Later we were served (buffet/family style) an amazing meal, ceviche, potato salad, coleslaw, beef, shredded pork, shrimp, veggies and on and on and of course beverages of your choice. Cat did an amazing job on the food and her main concern at all times was to make sure that all the guests were doing great and had everything they needed. On our way back in the wind did pick up a bit but I felt extremely safe and was impressed with Captain Norman's skill and handling of the boat. Most of the guests didn't even notice the winds as they were enjoying themselves dancing, so fun. All in all it was a great day and I would HIGHLY recommend going out with them. Very professional but fun couple who want to make your experience the best that it can be!!" Ann-Marie of Ontario, Canada via our Facebook Page.